he application of henna tattoos mainly to decorate the skin during any occasion.It became fashionable in late 1990s, in the West. These are sometimes called the henna tattoos too. No Indian marriages are complete without this mehndi tattoo. This is called the mark of Suhaagan. You may be located in any part of India; yet the brides are adorned with this beautiful, lovely red hue design of mehndi tattoo art. The Beauty parlors in India have special mehndi packs meant for marriages and many other colorful events happening in the country of India. 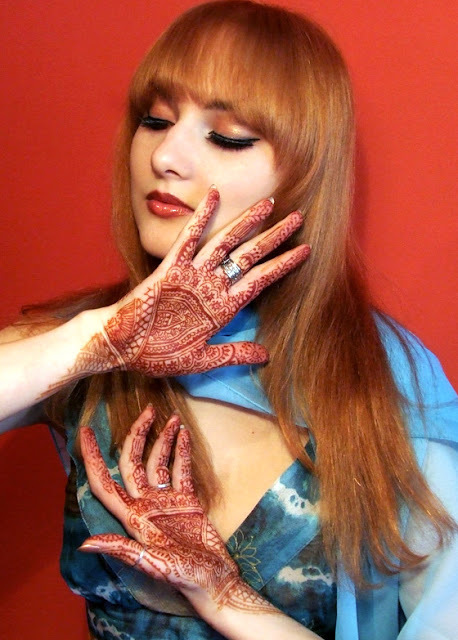 The normal Indian mehendi covers the entire palm and the Arabic one; is drawn on any one side of the hand. The cost of mehendi application varies from person to person, parlor to parlor and the amount of work involved in a particular design.